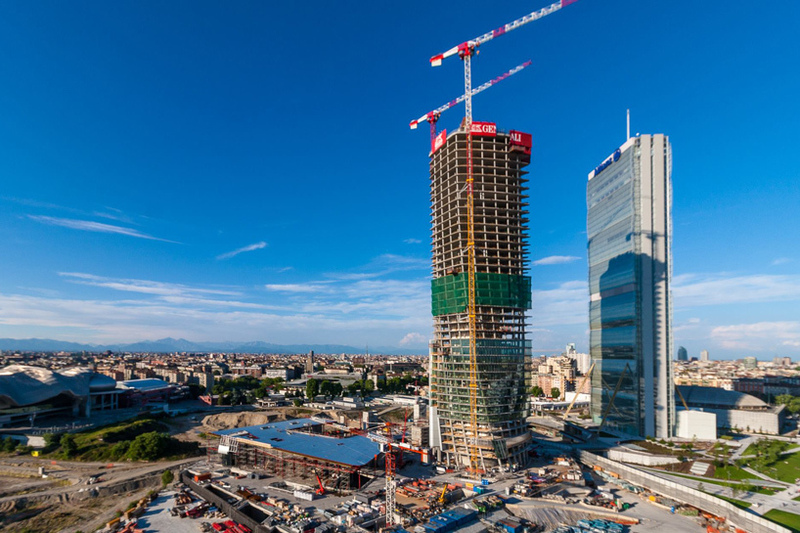 Zaha Hadid Architects’ (ZHA) near-560-foot-tall Generali Tower has topped out at 44 stories in Milan, Italy. 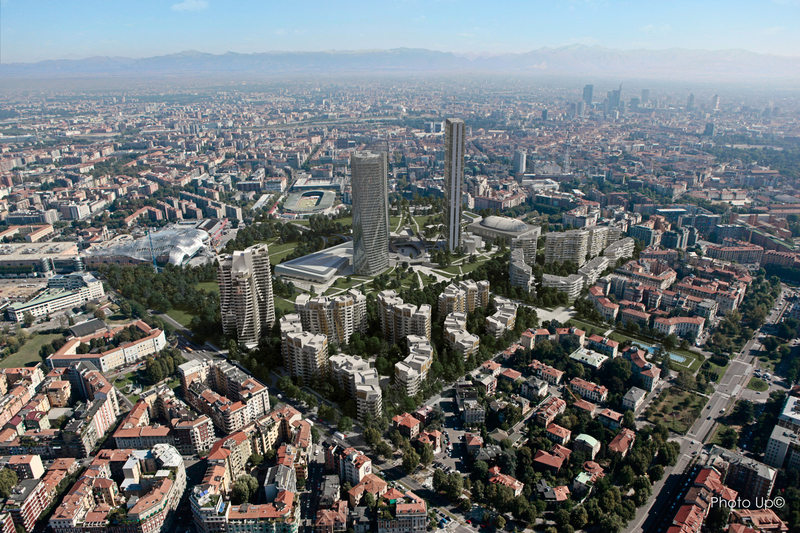 The building, along with two other towers, forms the centerpiece for the CityLife masterplan, developed to revitalize the former site of Milan’s International Fair, which shuttered in 2005. 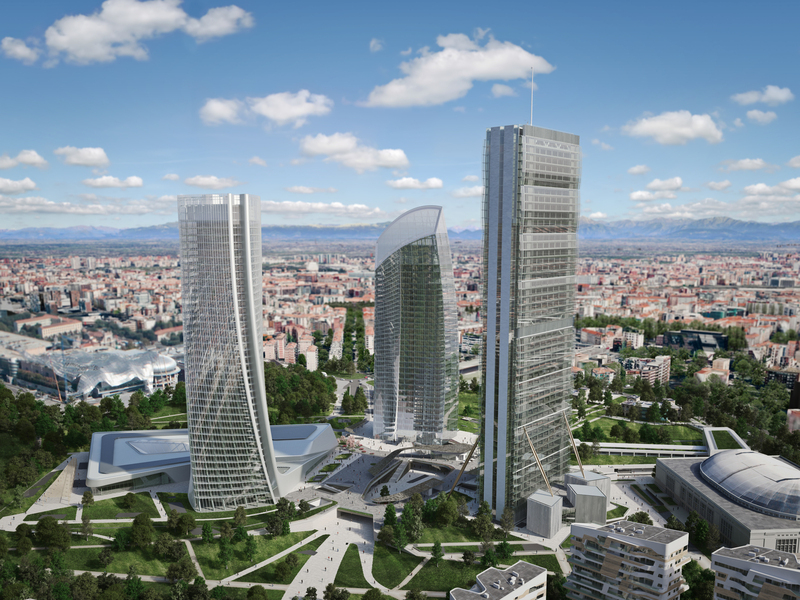 The redeveloped site, which began the process in 2004, will be open to year-round public use, and will include new civic spaces, public parks, residential buildings, shopping areas, corporate offices, with direct transport connections to line 5 of the Tre Torri station of the city’s metro system. …transferred vertically through the tower by the realignment of successive floor slabs that incrementally ‘twist’ about a vertical axis. This incremental twisting is defined by algorithms to give each floor a fractionally different relationship to the floors above and below. As the tower rises creating broader views and connections across the city, this twisting orientates the tower’s upper floors to face the centre of Milan and the Duomo. The Tower is on track to receive a LEED Platinum certification due to its implementation of its double-façade system, inclined structural columns to increase efficiencies in usable floor areas, sun-deflecting louver systems, ventilating registers to draw air outside, and much more.